There is a lot of interesting, fun and great work going on in International House classrooms around the world. Often this work is only seen by a small audience and, especially in our young learner classes, the students do not realise they are part of a wider network of schools. As such, in our 60th year, we thought it would be a nice idea to try bringing our classes together into a global community. By setting various projects for teachers and their students to take part in, we hope to build a global IH audience. Students share their projects on the community wiki and other schools can view them and leave comments. Think of it as pen friends in the digital age. As well as classroom projects, the classroom community aims to help teachers integrate technology into their teaching and give schools an added way of showing how good they are at teaching English. 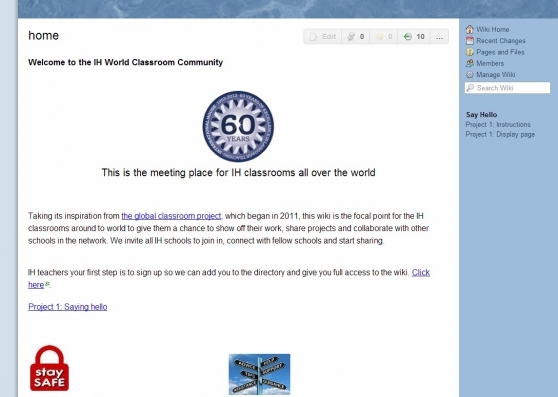 If you want to know more then join the group at http://ihworld.wikispaces.com or email shaun.wilden@ihworld.com. 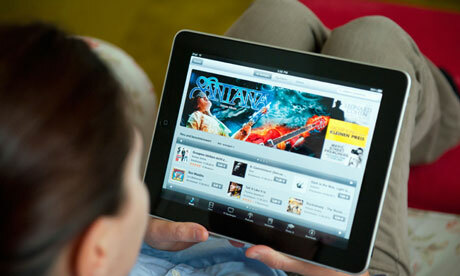 Schools and teachers are dabbling more and more in using mobile technology in teaching, particularly phones and tablets. Many of you are wondering how to go about it, some schools are wondering if they should invest in them, while other schools such as IH Cordoba are over a year into a project of integration. As such we thought it would be a good idea to pool our collective knowledge and set up a group to share ideas and discuss all things mobile. Using an internet-based discussion group and our online classroom we hope to hold monthly meetings to discuss aspects of mobile use in and out of class. The first meeting was held in February, from which it was clear that there are many questions to be answered. There you will find the overview of the first meeting, and we hope to hold the second online meeting in the near future. If you have any questions or want to know more then please email shaun.wilden@ihworld.com. For the last few months a number of IH teachers have been working on sketching out some new courses. As a result we have two new courses in development – a course for teaching Very Young Learners and a course for budding Teacher Trainers. I am pleased to say that both courses have been given the go ahead so I am looking for people to be involved in the writing process. If you want to have a go at writing one of the modules then let shaun.wilden@ihworld.com know asap. Further along the process we’ll also need people to read and comment on the draft modules and help with editing, so if you feel you can help, please contact Shaun. If you’re interested in taking part please complete the relevant forms on ihworld.com.Modern language teachers! Finally, thank you to all those that sent Shaun a sound bite for the ‘Things I Wished I’d Known’ leaflet, you all did brilliantly and we got 60 in no time! Watch cyberspace for news of the leaflet launch. IH Journal – new edition online now! The 50th anniversary Teacher Training autumn edition of the IH Journal is now online! The contents page below will give you a taster of what you can find in Issue 33. To read this bumper TT issue, click here!